Russian and the CIS mobile operator MTS has announced that it has filed its statement of claim in the dispute with the state of Turkmenistan at the World Bank’s International Centre for Settlement of Investments Disputes (ICSID). As earlier announced, in July 2018 the company filed a request for arbitration against Turkmenistan with ICSID in order to protect its legal rights and investments in the country. The Tribunal for these proceedings was constituted on 18 December 2018. The company’s total losses are currently estimated to be up to USD 1.5 billion. Unless resolved to the company’s satisfaction, MTS intends vigorously to pursue its claims in arbitration and seek all available remedies. The size of the claim was previously USD 750 million. MTS started dismantling the infrastructure of its subsidiary in Turkmenistan in January. At the time, sources close to MTS said this followed the failure of its efforts to reach an amicable resolution of its dispute arising from the forced shutdown of its Turkmen operation. In July 2018, MTS said that it had filed a request for arbitration against the Turkmenistan state with the ICSID. 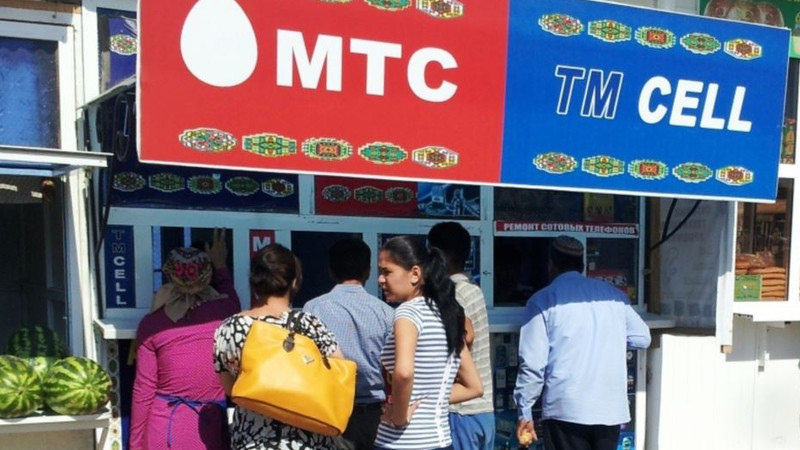 In September 2017, MTS Turkmenistan was compelled to suspend its operations, on the orders of the Ministry of Communications and other state entities. MTS says that Turkmenistan has violated its rights as a foreign investor under the Agreement on Promotion and Reciprocal Protection of Investments signed by the Russian and Turkmenistan governments in March 2009. MTS entered Turkmenistan in 2005 when it acquired local private mobile operator BCTI. Soon after, government bodies annulled BCTI’s licence, without any legal grounds, MTS claims. A source said the government offered to re-issue the licence if MTS agreed to share 70 percent of its profits in the new Turkmen operation. MTS succumbed under government pressure and agreed to a 20 percent profit share. Over the next five years MTS invested USD 250 million in Turkmenistan, building a nationwide network of 1,130 base stations. The subscriber base grew to around 2.5 million in a country of 5 million people. Its operation in Turkmenistan was not conditional on the profit-sharing agreement, MTS said. Nevertheless, its expiry led to a new shutdown of its business in the country. In 2010, the Turkmenistan government withdrew the licence and suspended the activities of MTS-owned BCTI. After two years of international arbitration, negotiations and inactivity of its Turkmenistan operation, in 2012 MTS was compelled to agree to share 30 percent of profits with its state-owned competitor Turkmentelecom. During the intervening two years, MTS Turkmenistan lost a large share of its client base. In September 2017, as the second profit-sharing agreement expired, the Turkmenistan government agencies took actions to disconnect DLD/ILD telephony and internet services for the mobile operator, leading to termination of services from MTS Turkmenistan for the third time.